Shad and Kathi Sollars will capture your "One Moment In Time" on Maui. Wedding, portrait and event photography. Fun, easy going husband and wife team who love to capture your memories through a photograph. Maui Dreams Dive Co is based out of Kihei and will take you to a variety of awesome dive sites on shore or by boat. Friendly crew and they will take care of you! Cultural and educational Kayak Tours, Canoe Tours, Stand Up Paddle Lessons and Surf Lessons with the best guides on Maui. Need some yoga while you are in Maui? Check out Afterglow Yoga with studios in Kihei, Wailuku and Lahaina. **Instructor Laurie is amazing. Trilogy Excursions is proud to be the oldest family owned and operated Maui activity and sailing business. We are also committed to being on of the best activity companies on Maui!Sails from Maui to Lanai and Molokini, offers snorkeling, scuba, dolphin and whale watching. Trilogy boats average 40-50 guests. Beautiful views and fun gift shop. Be sure to try their scones with lavender butter and jelly! Watch for our Jackson Chameleon friends. Take a drive upcountry and enjoy the cooler weather. Walk the grounds of Kula Botanical Garden and watch for the friendly Jackson Chameleons roaming around. Take your mosquito repellant. Tasting room in Kihei! Check out their website for the food truck schedule. Wednesday is logo night. Where a shirt or hat with MBC logo and receive a discount. Be sure to visit the restaurant in Kahana for handcrafted ales & lagers brewed with Aloha and good food. Shad loves the Coconut Porter! Maui Brewing Co. has a strong commitment to the local economy, and deep concern for the environment. Our favorite and cheap fish tacos. 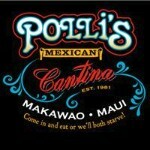 Located in Kihei and the fish tacos are on special on Tuesday and Saturday nights. Also other kinds of tacos and look for the pitcher margarita on Sat nights! Located across the street from Kamaole Beach II. Great Sushi! In Kihei and Kahana. Be sure to try the TNT Bomb...it's the bomb! Voted #1 fish tacos on Maui and they are yummy! 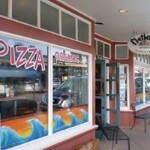 Two different locations in Kihei and now serving breakfast. Awesome service and Denali can join us at the north Kihei location! Happy Hour from 3-5:30! Discount on 36 craft beers on tap, half off appetizers and $9 pizza. Make sure to go on Monday and Tuesdays when the famous Tom Conway is playing live guitar! Delicious Thai food with great service! Food truck is usually parked at Maui Brewing Company in Kihei on Tuesday and Saturday....that's convenient. Cashew Chicken and Pad Thai are favorites. You can choose your spice level! Start a punch card and if you don't get it filled before you leave, we will take it off your hands. One of our top favorite picks for Acai Bowls. Located in Azeka Shopping Center in Kihei. Kathi orders the DaKine Bowl and Shad orders the No Ka Oi Bowl with a Strawberry Limeade. Great lunch spot after a scuba dive. Good breakfast, lunch and dinner. They are known for the Chicken and Waffle. We enjoy the Corn Flack Crusted French Toast for breakfast. We often share a burger for dinner. Excellent service, open atmosphere and pet friendly! Live music in the evenings. Wood fire pizza truck in Kihei is a must. We love the white cheddar mushroom! You have to try the Lilikoi Pork...Maui style! If you want a light meal, 1 pizza can feed 2 people. If you are hungry, order 2 pizzas. Need a little slice of goodness after dinner or an afternoon snack. 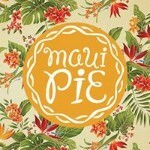 Check out Maui Pie for homemade pies! Banana Cream, Apple Pie (and ice cream) and the Coconut pie are some favorites. Great family owned business! The best Hawaiian shaved iced. Locations in Lahaina, Kihei and Kahului. You have to experience it for your self. Try the "Haleakala" flavor! Local and Organic fresh food! Can something so ono (good) be healthy? Our favorite Acai Bowls on Maui! Kathi orders the Dessert Sunrise and Shad orders the OG. Don't forget to try a shot of wheat grass! Located in Lahaina, Teddy's is a must. Delicious burgers, chicken sandwiches, salads and tator tots! Many styles and flavors! 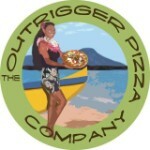 Located in Lahaina with an ocean setting, great food and drinks! Tasty local plate style! Choose from traditional local selections. Located upstairs on Front Street. Got to try the Italian Chopped Salad!! A general store in Makawao that serves delicious bakery goods. Cream puffs, malasada's and donuts on the stick are a must! Get there early while supplies last. Closed Sunday and Wednesday. Located upcountry in Makawao. Excellent food and margaritas! 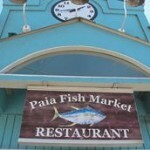 Located in the center of Paia. Excellent food and lots of it! Fajitas are a must try as well as the mahi burrito and mahi sandwhich. Located in the center of Paia and Kihei (and now Lahaina, too). Fresh fish for great fish burgers, fish and chips or even salad with fresh grilled fish. Always busy and don't be afraid to share a table and share the Aloha spirit. After walking through the shops of Paia be sure to grab a flatbread pizza baked in the stone oven with local grown ingredients. One of if not THE best scuba spot on the island! We love Makena (also known as 5 graves and 5 caves). Fairly shallow dive (~30 feet) but great caves to explore, lots of turtles and an occasional white tip in the caves. Great snorkeling, just follow the shoreline on your right. Small beach but grassy area and facilities. Park in the beach access parking in between the Grand Wailea and Four Seasons Resorts. Beautiful beach to hang out, people watch and play in the water. Good snorkeling both left and right side of beach. Take the time to walk around the Grand Wailea Resort (including the entrance with the trees and waterfalls). Great walkway in front of Grand Wailea, Four Seasons, Marriott, and Andaz Resorts. Facilities available at this beach. Awesome snorkeling and scuba diving beach. Easy entry, beautiful beach for relaxing, playing in the ocean or taking in sunset. Nice walk along the boardwalk down to the Grand Wailea from here. Facilities available at this beach. Follow South Kihei Road all the way to the end. Beautiful beach and good starting point for a stroll along the beaches to the South. Will connect with Mokapu and Ulua Beaches. Showers available at this beach. North end of Keawakapu Beach is Kihei Surfside Resort. Park in the public gravel parking lot. Walk north to the grass area north of the condos. No beach but awesome grass area to relax, take in a picnic dinner and enjoy the sunset. Just east of Paia, this beach is a popular surf spot. Park up top at the overlook and watch the surfers. Then drive and park by the beach (if you can find a place to park...it is busy with locals) and walk out to the beach. Go to the far east end of the beach and watch the turtles come up on the beach at sunset. We have seen approximately 30 turtles on the beach at once.